It's been a long time since I really wanted to go to movie theaters. Uncomfortable seats, sticky floors, crinkling wrappers, ridiculous prices, traffic, and heart-attack food selections. But then I discovered the Wheaton AMC just up the road. Movies before noon are $5, seats are massive leather recliners, there's a bar (haven't hit that up yet), and there's a sweet Vietnamese bahn mi sandwich joint across the street. La La Land: I don't like a ton of movie musicals, so this was a tough one to take in some ways. There are a lot of things I liked about this multi-award winner. 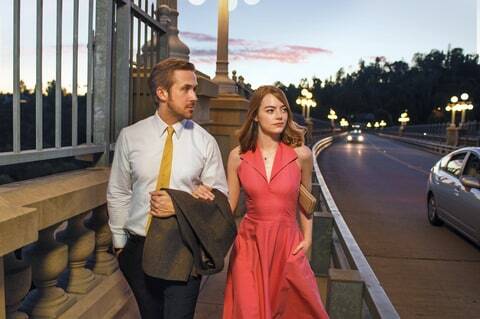 But Ryan Gosling and Emma Stone are fantastic as the romantic leads. The plot is a little light and some of the songs aren't very good, but I like how the movie moralizes that life is usually not much like Hollywood. I don't think it is the best movie of the year, but it will probably win the Oscar in a few weeks. 4 out of 5 stars. As a footnote, the movie musicals I like most are, in no particular order: The Wizard of Oz, West Side Story, anything with Travolta, This is Spinal Tap, South Park, Hedwig and the Angry Inch, what I know of Hamilton, Willy Wonka, Annie, I suppose the Julie Andrews stuff, and Sing Street. Sing Street: This is the best musical I've seen in a while. It's sort of the Irish version of School of Rock and features beautiful rock songs. 5 out of 5 stars. Hidden Figures: What a story. I may be secretly cheering for this on Oscar night. The unheralded (until now) African-American women who played such a crucial role in NASA's golden era of space travel is truly inspiring, especially in today's entirely uninspiring political climate. 4 out of 5 stars. Sing: This is like an actually good version of American Idol, with lovable, huggable animated animals playing the roles of stars of stage. Totally enjoyable for kids and adults. 4.5 out of 5 stars. Night of the Hunter: My new cable setup has some good old movies, so it was nice to finally see this Robert Mitchum classic. He plays a traveling preacher who specializes in serial killings and terrorizing young kids. Kind of ahead of its time and very creepy. 4 out of 5 stars. True Grit: I love a good Jeff Bridges flick, and this one has him playing bounty hunter Rooster Cogburn. I had completely forgotten that I'd seen it, but it's really really good. The cornpone Western dialogue is completely mesmerizing. 4.5 out of 5 stars. TV Bonus - Search Party: I also just finished watching season one of this TBS ... dramedy? 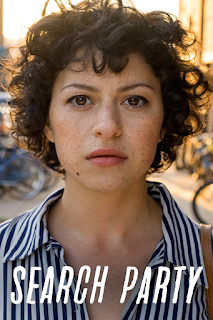 It's a hard-to-classify weirdo hipster thing that is apparently the creation of Alia Shawkat (Arrested Development). It's not as great as TV's #1 comedy Baskets, but I'm hooked. 4 out of 5 stars.